NFL legends Dan Marino (L) and Damon Huard (R) are the masterminds behind Passing Time winery. As part of Washington Wine Month we bring you one of the state’s outstanding wineries based in Woodinville. Passing Time, was founded by two former NFL Quarterbacks, Hall of Famer Dan Marino and Washington Husky legend, Damon Huard, with backing of Doug Donnelly, Kevin Hughes and superstar winemaker Chris Peterson. While they were in the NFL playing for the Miami Dolphins, Damon and Dan talked about someday about owning a winery together and they finally made that dream a reality. 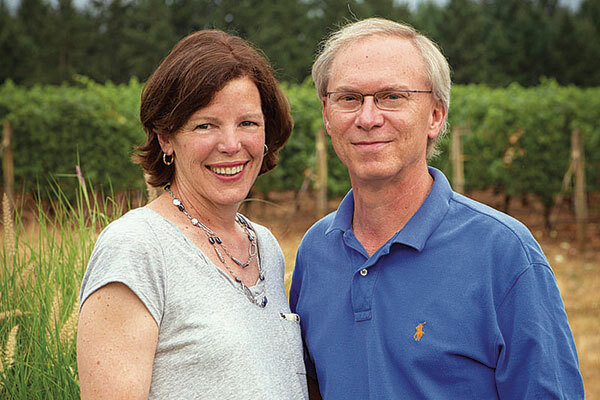 Through Marino and Huard would sample top wines of the world together, but they were struck with how many great wines were being made in Washington — for a highly reasonable price. They remained friends and eventually started their winery in Woodinville, with the 2012 vintage being their first wines made. Since that time they have achieved great national acclaim for their wines and I have been impressed with these wines since they were first released. Chris Peterson is one of the great winemakers in Washington State. He was the first graduate of Walla Walla Community College’s Enology and Viticulture program and and spent eight years at DeLille training under eminent winemaker Chris Upchurch. Peterson has crafted some beautiful new wines, none more so than his 2016 Passing Time ‘Red Mountain’ Cabernet Sauvignon (WWB, 95) which marvelously personifies this region with its dense core and dark fruit profile. Learn more about these beautiful wines at http://www.passingtime.com Here is my review of the new wines by Passing Time. Will Carmada has taken over the winemaking duties from his father, legendary Washington winemaker, Chris Carmada. One of the great historic Washington houses, Andrew Will was founded by Chris Carmada back in 1989. Back then their first ‘winery’ was essentially a walkway between two adjoining roofed structures as they made wine there for the first five vintages. Chris named his winery for nephew Andrew and son Will, and the family and winery subsequently moved to Vashon Island in 1994 and has been there since. Chris started his winery by sourcing from two of the most famed vineyards in Washington, the Champoux and Ciel du Cheval Vineyards. Today they source all of their grapes from their Two Blondes Vineyard as well as those two historic vineyards. Beautiful views from their Two Blondes Vineyard. Winemaker Will Carmada was not originally interested in wine or winemaking. While he mentioned to me that he always was around wine, he did not develop an affinity for wines until he had completed his studies at the University of Washington. Will was only two years old when Andrew Will was started and he began working full time at Andrew Will in 2013. His progression into learning winemaking from his father and being involved in wine full-time was quite gradual but I am very glad that he has chosen this career path. Simply put, his wines are outstanding and it is clear that Will has an exceedingly bright future as Andrew Will winemaker. It is a distinct honor to be a part of 2019 Taste Washington, serving on Sean Sullivan’s panel. I would love you all to attend this very special event, and tickets can be purchased here . It will be a really fantastic 2019 Taste Washington weekend and I am very honored to be a part of it. The new release Target wines miss their target quality all-together. While Target has made a name for themselves in general retail, and they have launched their own series of wines which were released on March 3rd 2019. The new Target wines retail at $9.99 and are named ‘The Collection,’ which include a Rose, Pinot Grigio, a Chardonnay, a red blend and their Cabernet Sauvignon. Target notes that their labels are inspired by the winemaking process as the wines are made for them by Delicato Family Vineyards. While I have never had Delicato Family Vineyards wines, after this reviewing this set of new releases I might want to stand clear. After trying these wines I found it a bit concerning that in their news release Target note that these are new ‘premium’ wines. None of these new wines resemble anything that would be deemed by a wine writer or wine reviewer ‘premium.’ This labeling is unfortunately deceptive to the consumer. Louis Skinner is the talented winemaker behind the great new lineup of Betz Family Winery wines. Firmly at the helm at storied Washington winery, Betz Family Winery, Louis Skinner has a downright awesome story in wine. Louis took time to gain interest in wine and was inspired to learn more by a friend who was an avid wine collector. Like many people in the wine industry, Louis changed careers and became all-in, learning everything he could about grapes, tasting and winemaking. A graduate of the South Seattle Community College program, Louis has trained under legendary winemakers, Chris Upchurch and Bob Betz, MW, prior to taking over for Betz at his namesake winery. Having tasted through his new lineup of wines, I have found Louis’s wines to be highly precise, showing a good degree of minerality and varietal typicity. He also makes a beautiful wine from the stony terroir of the Walla Walla Rocks AVA, as Betz now owns a vineyard there. Here is my exclusive interview with Louis Skinner, head winemaker of Betz Family Winery. WWB: How did you decide to switch your career to wine? LS: There was a moment where a friend of mine who originally got me into wine. We had become good friends in my 20s and our friendship actually had nothing to do with wine, we were both car enthusiasts. My friend was obsessed with wine and his house had a lot of classic Bordeaux as he had a deep wine cellar. He would always lay out some amazing glasses of wine for us to try. We did dinner about once a month for about a year. One day he put me on the spot and asked why I wasn’t drinking his wines that he poured. He mentioned that there was no reason why I shouldn’t gain an appreciation for wine of the world. That same week on a Saturday he opened some beautiful wines for me to taste through. There were stunning wines from Bordeaux and Burgundy as well as Rhone wines and California. This tasting was an eye-opener for me,. We tasted about eight bottles of wine and the next morning I woke up thinking about these marvelous wines. I was blown away that there was so much diversity in the wines. I was quite shocked and I went to the grocery store that same day and walked around the wine aisle. Prior to that wine had no meaning to me. It was a drink that I would occasionally have at wedding receptions but I had no connection to wine whatsoever. I went from not even knowing about wine to becoming very interested in it. Within a month of this tasting I was going to the library and avidly reading books about wine. That learning process spiraled from there and I would become more and more inspired. My friend helped my learning as he possessed the high end collectable side of wine, even up to Domaine Romanee Conte. A few years later I enrolled in South Seattle Community College to start their wine program. About a week before I started I wanted to do a wine retail position as well which would help my education having the ability to taste wines on a regular basis. It was only about a week until my instructor found me a wine retail job in Redmond and I got a job on the spot right there. My four years working at the wine shop in Redmond really helped me meet people and taste the wines. I was doing a tasting group there and also was a part of a great tasting group at Wild Ginger. My world in the wine industry has grown exponentially since that point. That is the great thing about wine is it brings people together from all walks of life. WWB: What was it like training under legendary winemaker Chris Upchurch at DeLille Cellars? LS: It was a great experience learning under Chris Upchurch. When I look back at my time in DeLille I wouldn’t trade my time there for time anywhere else. Chris was a friend of mine when I applied for the position, because we were both fans of Burgundy and collectors of those wines. My relationship with him began before I was working for him. That was a really natural progression and by the time I was working with Chris in 2011 he knew who I was and had told me a couple of times that he would like me to work in the cellar. We had that on the horizon and the whole team at DeLille had been changed and Chris Peterson had left to start Avennia and then Jason Gorski was starting there. Everyone was new other than Chris Upchurch. Jason and I were new people at DeLille which was a great experience. I had previously worked with Bob Betz, MW, prior to coming to DeLille, as an apprentice and I knew some of the details about making wine. Bob Betz had taught me a lot, and had spent some time learning about winemaking in France in 2011, so when I was at DeLille it was almost a clean slate and I was able to take some of my knowledge and help build a program working with Jason. My job was to help run the quality control aspect as well as help with the laboratory work. I was able to help design the lab there. My relationship with Chris was about studying other wineries and how we could apply that to making wine at DeLille. This past year I had the chance to visit Chateau Latour. That was really interesting because I had seen how Chris Upchurch had modeled his winery through learning about practices at Latour. Chris seems very relaxed and as far as winemakers or people I have met, but Chris was very motivated to travel the wine world from France to Spain to Germany to Australia and visit wineries and learn about how they get from point A to point B in their winemaking process. He has learned a great deal from his vast travels to the great wine regions of the world. WWB: What were some of the challenges with becoming head winemaker at Betz Family Family and taking over the program from someone who is such an iconic name in Washington wine? LS: Bob works with us in a consulting role. He tastes with me and we try to create our best vineyard program and how we can improve the wines. The transition from Bob to myself has been really comfortable. I think Bob is comfortable with getting behind my ideas with winemaking, and I do a lot of tasting. Tasting for me is front and center for winemaking and developing the palate. Without tasting the wines that we idolize or love, it becomes challenging to understand what direction you want your wines to go. As a winemaker you have access to the great wines of the world. When I was working for Fine Wines in Redmond I had people who would get together and taste the great wines of the world and split the costs. To be able to taste the wines and be able to see how they contrast the other wines, I think that helps Bob feel comfortable with what we are doing with the Betz Family Wines program. That is the main driver is I want to see what the producer was doing with the style, the region and the vintage. If you look at the Betz program when I started in 2014 the Bordeaux wines and the Rhone wines were made in a similar way. Betz has a house style which is preservation of the fruit and a reductive handling of the grapes, a lot of oxygen usage to get richness and minimal racking to protect the wines and preserve that. Maceration is usually six or eight days and all the fruit was de-stemmed at that time. Betz had a great thing going when I started but where I push the program is having a bit more time in the skins, whole cluster fermentation on the Rhone wines and the framework behind the Betz wines is the same. We have a lot of detail and a lot of time in the vineyard. WWB: I was enchanted by your 2016 Betz Family Wines ‘Domaine de Pierres’ Syrah (WWB, 94) which sourced from your estate vineyard in the Walla Walla Rocks region. How did you decide to purchase that vineyard? What style of wines do you craft with your ‘Domaine de Pierres’ Syrah? LS: This was a very exciting new wine for our lineup. The first vintage from this was the 2016 vintage which you tried and that vineyard was originally called the Ancient Stones Vineyard. The vineyard was originally planted in 2006 and we bought the vineyard in late 2014 and there were some issues with the name because there were many names called ‘Old Stones’ and we decided that we didn’t want any part of a dispute over names. At the time the vineyard needed a lot of careful management and it had been about four or five seasons since someone had taken good care of it. A lot of the wires had fallen down, and even posts were dislodged so that was a challenge. Walla Walla has seen a lot of frost damage so there were a lot of freeze issues in the vineyard and there was many freeze damaged vines. There were some plantings that we wanted to change including Viognier and Malbec as well as Cabernet Sauvignon as well as Grenache which were planted. Because it is in a low spot in the valley the vineyard unfortunately wasn’t a good spot for Grenache. In 2015 we tore almost the entire vineyard out and left a few blocks of Syrah, roughly one acre in size. One section of the vineyard was planted to Phelps clone and the other was Tablas Creek clones. We also left a few blocks of Cabernet Sauvignon for interest but doing Cabernet in the Rocks just wasn’t our thing. Over the last few years we have been trying to plant three acres a season to Syrah. In 2018 we were able to bring online a few more blocks of Syrah so today we have 4 different blocks of Syrah, including the 2006 plantings and then also our Spring 2015 plantings. We have done some research on clonal selections and had also spoken with someone who had been working on the vineyard side with Christophe Baron. I have done a lot of tastings from wines in the Rocks and Christophe Baron pioneered this outstanding style of wine and Matt Reynvaan also has done a lot of great things in the Walla Walla Rocks AVA. I think there are a lot of styles of wine sourced from The Rocks District AVA, all based on location. I look to our vineyard showing similar to the wines from the River Rock Vineyard, which is adjacent to us. In general, I think the early years where we harvested fruit in 2015 and experimented with whole cluster inclusion and the 2016 we were still in the learning process. We ran a number of trials with 100% whole cluster fermentation and some with 50% whole cluster fermentation. As the seasons evolved we have learned that we prefer the wine to be made undergoing 100% whole cluster fermentation. We had skin contact for about two weeks for our 2016 ‘Domaine de Pierres’ Syrah. Now we have contact for about a month. For the wine I look at it as I look at the other wines at Betz. These wines are not exactly like the wines of Cayuse, Horsepower or Reynvaan but we look at the icons in the Rhone Valley as well. I look to the wines of Cote Rotie, and the savory and textural qualities of Jamet. I would love to make that style of wine, the savory fruit profile and textural profile. WWB: You made some beautiful wines in 2015. What were the challenges presented for you making wine in 2015? LS: 2015 was a challenging vintage. Everything 2013 and beyond you have had to deal with a lot of heat. 2013-2016 have all been warm vintages and that makes it harder to how we accumulate heat and dealing with the challenges throughout each vintages. I don’t mind a hot vintag. I think we have done well in these hot vintages but you have to be a bit apprehensive about making your wines to not achieve too much sugar accumulation without the phenolic ripeness. In 2015 we had to move quickly to make sure our wines were not overripe. In 2014 that was a problem as well and we started picking September 3rd and finished about a month later for the reds. In 2015 I think we picked 115 tons from 40 different blocks in about three and a half weeks. It was hard getting to the vineyard and sampling enough of these wines because everything was coming in at the same time. The pickers worked very hard because we had to get everything back to the winery. Merlot started ripening in the last week of August and everything else was ripening after that so it was a struggle with making wine that vintage and making the picking decisions. We had to figure out what varietals could have more hang time.The great challenge for us is getting the fruit off the vine quickly enough. Ross Cobb is the talented winemaker behind all Cobb Wines. One of the inspired producers of new world Pinot Noir, Ross Cobb is the talented winemaker behind his beautiful lineup of Cobb Pinot Noirs. While hardly new to the game, his wines are truly one to watch for as they show serious terroir with amazing viscosity and range. Ross is the son of David and Diane Cobb who with Ross founded Cobb back in the 2001, sourcing from their estate Coastlands Vineyard that dramatically faces the Pacific Ocean. Ross is a talented winemaker who has traveled the world to learn about winemaking and focus on crafting world class Pinot Noir. I think you will very much enjoy hearing about his story in wine. Here is my exclusive interview with Ross Cobb, winemaker at Cobb Wines. WWB: How were you initially inspired to become a winemaker? RC: My parents, David and Diane Cobb, bought a bare piece of land on the West Sonoma Coast in 1988 and established the 14-acre Coastlands Vineyard, including the house and infrastructure from ground up. This was at the same time I left for college at UC Santa Cruz. While there, I decided to change my major from Biology to Environmental Studies and focused on Sustainable Agriculture and Agro-ecology. My final project focused on soil science and I analyzed the Coastlands’ 1906 block of soil before planting. I started working on the vineyard each summer and after graduation I got a job in wine and worked my way up! After seven years working for three wineries, I made my first to trip to France (several regions of Burgundy and Rhone), Spain, and Portugal. This first trip inspired me to start our family wine label, which we did in 2001. I continued traveling to France, Italy, Spain, Portugal, Hungary, Switzerland, Austria, and Bulgaria, and each trip has opened my mind to different techniques in viticulture and helped me define my own personal style of winemaking. WWB: How are you able to extract the incredible sense of salinity and minerality into your beautiful Pinot Noir wines? RC: The vineyards of Coastlands, Emmaline Ann, and Rice-Spivak form the winery’s core production, and all fall within an unofficial subregion of the western Sonoma Coast known as Freestone-Occidental. Yields hover between 1.5- and 2-tons per acre. The coastal proximity is responsible for the fine-grained salinity, giving these wines a soft, supple spine with a weightless, cleansing lift. WWB: Your 2016 Cobb ‘Rice-Spivak’ Pinot Noir (WWB, 95) is one of the most impressive Pinots out of California that I have sampled in the past year. Can you talk about how you craft this stunning new wine that screams terroir and shows insanely good range? RC: The goal at Cobb is to produce delicate and pretty wines that retain structure. Approximately 40% whole-cluster fermentation is used, and the wines are aged anywhere from 22-34 months in the barrel, the first year on gross lees, the second on fine lees. Around 35% of the François Frères and Remond barrels are new, and the bottled wines are held for two to four years before release. The Rice-Spivak grapes are particularly complex due to the cold winds blowing in from Tomales Bay and Bodega Bay to the west. The 300-foot elevation rolling hills are composed of Goldridge series soil, but have a significant amount of organic matter and there is a volcanic ash character unique to the soil at Rice-Spivak, which marks the wine with a flint note and richness on the palate. WWB: What are some of your favorite wines of the world and how do you think that Sonoma Coast Pinot has been evolving over the past decade? RC: Having one of the first West Sonoma Coast Pinot Vineyards in the family, we were pioneers on this journey. I worked with Williams Selyem from 1998-2000, Flowers from 2000-2008, and Hirsch from 2009-2015, solidifying my understanding of the Sonoma Coast and its potential in the wine world. California Pinot Noir is never going to be Burgundy, and vice-versa, but there’s room for both. As Burgundy Pinot prices go through the roof, other markets, like ours, are expanding. What were once considered ‘alternatives’ to Burgundy are now established and earning acclaim of their own. It was made abundantly clear to me that it’s possible to grow and produce Pinot Noir without any comparison to Burgundy in Sonoma and I think it is only going to get better. My favorite wine from the west Sonoma coast is Ted Lemon’s Littorai and the Burgundy Pinots that inspired me are still among my favorites as well: Bruno Clair, Francoise and Rene Leclerc, Silvain Pataille, Mugneret-Gibourg, and Marchand-Tawse in Cote de Nuits. The many great faces of the Walla Walla Wine Alliance. Yesterday the Walla Walla Wine Alliance hosted their Annual Seattle event at McCaw Hall in downtown Seattle. It was a marvelous event, filled with some of the great wine talents in Washington State. I hosted a panel discussion about Walla Walla wine prior to the trade and media portion of the event. It was another glorious time, tasing some of the finest wines Washington has to offer. Here are a few photo highlights of this fantastic event. Cheers! Katy Wilson is the talented winemaker behind her beautiful new LaRue Sonoma Coast Pinot Noirs. One of the great young talents in Sonoma, Katy Wilson is the mastermind behind LaRue Wines, makers of outstanding and terroir-driven Pinot Noirs. Her wines have the beautiful salinity that you expect from the Sonoma Coast AVA. Katy has traveled the globe to learn about wines with previous stints in both Australia and New Zealand before coming to Sonoma. She is as enchanted with the ocean influence in these wines as I am. I think you will very much enjoy hearing her story in wine. Here is my exclusive interview with Katy Wilson, founder and winemaker of LaRue WInes. WWB: Who were your initial inspirations in wine? KW: My path to wine was not your average story. I grew up on a walnut orchard and had a tremendous interest in agriculture. It was through agriculture that I became interested in wine and inspired to become a winemaker. To me, growing grapes and making wine is unlike any other area of agriculture. I continue to be amazed with how every year and every wine is unique and that there is always something new to learn. WWB: How did you decide to make wine sourced from the Sonoma Coast AVA? KW: I spent time making wine in Napa, Australia and New Zealand before I landed on the Sonoma Coast. The Sonoma Coast is such a great area for producing Pinot Noir and Chardonnay, and this area in particular really suits my signature style of winemaking, which lends itself to a largely hands-off approach. All of the vineyards that I work with are within about seven miles from the Pacific Ocean, and you certainly get the ocean influence in these vineyards and in my wines. We constantly have fog rolling in and out of the vineyards, which allows for slower ripening and also allows the grapes to better retain acid through the ripening. The result is bright and crisp wines with great aroma and freshness. WWB: Can you talk about some of the challenges with being a business owner as well as a winemaker? KW: I think that one of my biggest challenges is balancing my time. Along with owning and making LaRue Wines, I also make wine for Anaba Wines, Claypool Cellars, Reeve Wines, and Smith Story Wine Cellars. It’s a constant juggling act that definitely keeps me on my toes! And I wouldn’t have it any other way. WWB: Your 2015 LaRue ‘Sonoma Coast’ Pinot Noir (WWB, 92) shows tremendous range and poise from this warm vintage in Sonoma. Can you talk about how you craft this outstanding Pinot Noir? KW: The 2015 harvest was a very early one. I picked my first vineyard on August 20th and my last vineyard on September 3rd. This was also a vintage with very high acidity and I was able to pick at low brix. This wine is a blend of the Thorn Ridge Vineyard and the Rice-Spivak Vineyard and it is also a mix of different clones from these vineyards. I think that the complexity of the vineyards and clones gives layers to this wine. I also age this wine for 20 months in barrel, which allows the oak to better integrate and become seamless with the wine. My aim is to take what each year gives me and try to do my best to showcase the vineyard and the vintage. WWB: When you are not enjoying wines from the Sonoma Coast AVA, what are some of your favorite wines of the world? KW: I love Champagne! I guess who doesn’t, right? I also love exploring Burgundy and Chablis when I am able. I guess it’s apparent that my palate favors Pinot Noir and Chardonnay! I think that it is so interesting how every region and every wine has such a different expression and as a winemaker, I’m an eternal student of thevine. I love trying as many wines, styles and regions as is possible! Charlie Wagner Sr. founded Caymus Vineyards back in 1972 and has incredible success with his Cabernet Sauvignon wines since that time. One of the iconic wineries in California, Caymus built a name for themselves by crafting some stunning Cabernet wines for decades. While some might say that Caymus Cabernet has taken a step back in quality, as their hedonistic style of wine is might not be loved by all, I can frankly respond that this writer is absolutely enchanted by these recent set of releases. Their new Cabernet bottling show not only gobs of fruit but an incredible minerality that accompanies the mid-palate richness. That combination of fruit weight and tension in the wine really excites me. Back in 1972, Chuck Wagner started Caymus Vineyards with his parents, Charlie and Lorna, and created incredible success with their wines. Caymus Cabernet is sourced from 8 of Napa Valley's 16 appellations and the Caymus ‘Special Selection’ is the only wine in the world to be honored twice as Wine Spectator magazine's “Wine of the Year” for the 1984 and 1990 vintages. Caymus and their Wagner Family of Wines produces everything from Chardonnay to Sauvignon Blanc to even a pretty killer Rose. For those who do not enjoy huge extraction in their wines, kindly glance away. Like last years release, the 2016 Caymus Cabernet Sauvignon (WWB, 94) shows amazing intensity on the mid-palate with a gorgeous finish. Even better is the new 2015 Caymus ‘Special Selection’ Cabernet Sauvignon (WWB, 97) which is one of the great Napa wines I have sampled in the past year. This seductive new wine exudes class, with serious range on the mid-palate that combines with the glorious fruit weight and minerality. This massive wine really needs at least another year in the cellar to fully sing its high C. Learn more about these outstanding new wines at https://www.caymus.com Here are the beautiful new release wines by Caymus Vineyards. 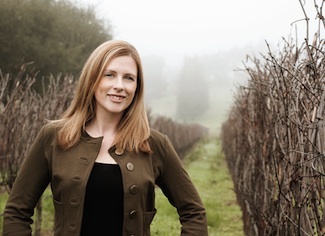 The talented Katie Nelson was named Columbia Crest head winemaker in summer 2018. One of the outstanding value Washington producers, Columbia Crest is the only Washington winery to have their wine appear at #1 on the Wine Spectator Top 100 list. That pedigree is shown in their lineup of not only good value wines but their higher tier wines as well. Founded in 1982, Columbia Crest is one of the longer-serving Washington wineries as their first wine release was back in 1987. Juan Munoz-Oca has presided over these wines since 2011 and has done a really fantastic job after taking over from eminent Washington winemaker, Ray Einberger. This past summer Katie Nelson was named new Columbia Crest winemaker and brings her talents to the forefront, previously serving as assistant winemaker for K VIntners. I am very excited to see Katie’s influence on this great program. The new wines were all sourced from warm vintages. I was blown away with the value of the 2016 Columbia Crest ‘H3’ Sauvignon Blanc (WWB, 90) which is one of the great value wines that I have seen from this hot vintage in Washington. The wine shows good opulence and acidity with bright pear and kumquat flavors. The best wine I tried was one that had some age, their later release 2014 Columbia Crest ‘Private Reserve’ Red Wine (WWB, 93) which has tremendous length, richness and a Bordelaise feel. This beautiful wine is one for the cellar. Learn more about these outstanding values at columbiacrest.com Here are some of the great new wines by Columbia Crest. Great photo here of Tresider Burns, new White Rose Estate winemaker. Oregon native Tresider Burns may be taking over some big shoes at White Rose but he enters this new position with a very strong pedigree. Formerly in the technology industry, Tresider has been serving as assistant winemaker at Brittan Vineyards, helping craft what I consider to be some of the most influential North American Pinot Noirs. Tresider also worked at Lemelson and has a passion for making world class Pinot Noir. I am very excited to see his influence in the glass at White Rose. Here is my interview with Tresider Burns, new White Rose winemaker. WWB: What was it like growing up in Oregon and experiencing the incredible influence that Oregon wine has had in the region. You spent a considerable amount of time in the technology industry before starting your winemaking career. How did you first become interested in being a winemaker? TB: I grew up just early enough, and in just enough of an isolated place (Gold Beach for most of my childhood), that my early memories of my parents enjoying wine are from their trips to Napa and Sonoma. It was through them that I learned the importance of enjoying good wine with good food. I remember wooden boxes stashed away after their trips to California. There was a signed case of Pat Paulsen Cabernet that was a particularly prized possession. We moved north to Newport when I was in high school and I spent a good chunk of that time in Yamhill County. I remember Oregon wine being something that intrigued them but it wasn't yet on my radar. During college, I noticed a few wineries popping up around Charlottesville but again, I was one step ahead of wine, and left before that wine scene took off. It wasn't until I moved to San Francisco that I really started appreciating wine. I credit an old roommate who introduced me to a number of French wines and turned me on to the history of wine. Many great trips to Napa, Sonoma and Anderson valleys soon followed. After ten years working in technology, I wanted to create something more tangible than the short-lived websites I'd been building. Wine attracted me because it was something I could share with friends and family and it creates a legacy, many of these bottles will be around long after we're gone and I hope folks think about the winemakers of the past when they open old bottles. I know I do. I was away from Oregon for fifteen years. It took me some time to reacclimate as an Oregonian but I feel like I'm back home. After fifteen years away, it turns out what I really learned is that Oregon is an incredibly unique and special place. What an incredible honor to be part of that. TB: I could not have asked for a better experience after grad school than the four years I spent working with Anthony King at Lemelson. Anthony is an incredibly thoughtful, detail-oriented winemaker. He doesn't use any tricks or fancy products, he just pays attention every second that wine is under his purview. He's one of the best natural winemakers in the country although I bet few people know that because they see a UC Davis trained winemaker building incredibly sound wines and just assume they aren't natural. Anthony taught me never to settle, to always keep improving. He's the Jiro Ono of the wine world as I'm sure he'll never be completely happy with a wine he's made. But damn, they keep getting better year after year. I credit Anthony with also providing a solid education in the vineyard. He tasked the production crew with crop estimating and drought monitoring. It got us out in the field for a big chunk of the summer and was a great study in organic grape growing. WWB: How die you decide to come to Brittan Vineyards? What has it been like working under legendary winemaker, Robert Brittan and producing some incredible terroir-driven and stony Pinot Noir? TB: After leaving Lemelson, it was important to me to spend more time with a mentor. I didn't want to jump into a head winemaking role until I was truly ready. Robert Brittan was a natural choice, I knew Robert and I knew his high standards. He's also a UC Davis educated winemaker who got his start in California wine country just like Anthony. I guess I have a type. The Brittan site is truly amazing. Everything is turned up to 11 in those wines. More phenolics, acid and pigmentation than any other wines in the valley. What a cool challenge as a winemaker to create wines under those conditions. When we nailed it, those wines were the most layered and intriguing wines in the Willamette Valley. Robert has been making wine for over forty years but he's still learning, still challenging his assumptions. Every year we spent days strategizing about the upcoming harvest. We looked at experiments from the previous harvest, the ferments we nailed and the ones we felt were disappointments. The mantra was constant improvement. I think that's a theme, the best winemakers never settle. Robert's a perfect example and his wines demonstrate that pursuit. WWB: What are some of the biggest challenges that you face taking over the winemaking at White Rose Estate? TB: I’m incredibly excited for the opportunity to make wine at White Rose. It's unfortunate it happened under such tragic circumstances. I do believe that wine is legacy and my job will be to respect Jesus' legacy. I plan to continue the winemaking in his style and make sure his last vintage makes it safely to bottle. He and Greg Sanders built a wonderful brand with a reputation for quality, why would I change that? I also love whole cluster winemaking. It's probably the most challenging way to create beautiful Pinot noir but when it works, it's transcendent. Jesus' wine knowledge came through practical application, learning in the winery. I look forward to adding a scientific eye toward whole cluster winemaking. Another big challenge is simply the fact that it's a new site for me. I know it's a great piece of ground but I'll need time to learn its idiosyncrasies and how to coax out its personality in the fermenter. That's always a daunting task the first time you tackle a vineyard. Greg's been working the site for twenty years so I'm sure we'll be able to make that happen together. WWB: What are some of your favorite Oregon wines and vintages and why? TB: During the 2017 harvest, a friend visited from California. We met up at Thistle and I brought along a bottle of 2010 Lemelson Chestnut Hill Vineyard Pinot for the dinner. The wine was so beautiful but I found myself mourning and thinking, "we'll never get vintages like this again." I love the cool vintages. If I see 2007, 2010 or 2011 on a bottle of Oregon wine, I get excited. Those vintages took great skill in the vineyard and the winery. We're on such a streak of warm vintages I miss that lighter, tension-driven old school style. My research at Oregon State focused on improving color in Pinot noir but we haven't had to worry about that for years. Warm vintages are almost too easy. Long picking windows, wearing shorts and t-shirts in the winery, no disease pressure. The cool years are a bear to work. Freezing temperatures, a desperate race to achieve some sort of maturity, fighting botrytis. I guess in a way, the struggle is directly proportional to my later enjoyment of the wine. I get excited opening bottles of Cristom, Bethel Heights and Eyrie. I drool over Chardonnay from Seven Springs, Hyland and Fairsing. Grant Coulter is doing amazing things with whole cluster. It's such an exciting time for Oregon wine. The quality level across the industry is incredible. White Rose attracted me because it's always been in the upper echelon. I look forward to continuing that tradition. 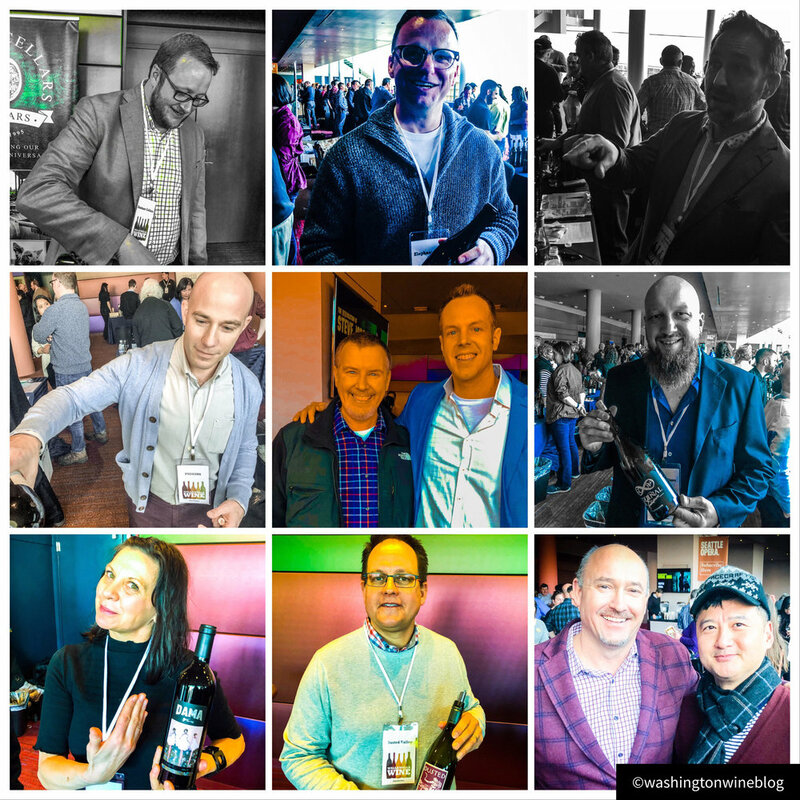 A few photo highlights of many of what was a beautiful 2019 WWB Critic’s Choice of Washington event. As we bid adieu to our 2nd Annual Washington Wine Blog Critic’s Choice of Washington event, we wanted to give our greatest gratitude for the amazing wineries that shared their beautiful wines with our guests. A special shout-out goes to our out of town guests, who traveled cross-country and even out of country to join us. It was a magical evening at the Columbia Tower Club and we will look forward to seeing you all next year! Ashley Trout is the talented mastermind behind Vital Wines and Brook & Bull. Happy Valentine’s Day to you all! One of the exciting young winemakers in Washington, Ashley Trout is the talented mastermind behind new winery projects Vital Wines and Brook & Bull. A fellow Whitman College graduate, Ashley Trout got her start at Reininger Winery learning under legendary winemaker Chuck Reininger. In 2018 she was named by Wine Enthusiast as one of ‘the top 40 under 40 tastemakers.’ I recently had the chance to review her new wines from Vital Wines and Brook & Bull which were all excellent. Wait until you try her beautiful new 2018 Vital Wines Rose (WWB, 90), only $19.00 retail. I really think you will enjoy hearing more about her story. Here is my interview with Ashley Trout, winemaker/owner of Brook & Bull and Vital Wines. WWB: Can you talk about your background in winemaking? How did you initially become inspired to become a winemaker? AT: I started working in the Washington wine industry in 1999. I was 18 and I seized the opportunity to do the nighttime punchdowns at Reininger Winery. I'm from Washington DC, and working in wine seemed like, not a real job. So I figured age 18 was my only chance and then I'd grow up and get a big girl job after college. That never happened. I got sucked in. I've never looked back. I worked at Reininger for 8 years, but my fifth year was my "aha moment." I had a bad climbing accident and broke myself enough to where I couldn't work harvest that year and it seemed really inappropriate. I felt like I was missing part of who I was. That's when I realized this wasn't just a thing that I liked to do, but that I loved doing it, it was who I was already and that reality had snuck up on me at some point over those 5 years. I was never inspired to become a winemaker. I just couldn't stop myself. A lot of it was right place, right time, (right people- thank you Chuck). I was inspired, after 5 years, to never get a job that wasn't winemaking. WWB: What are some of the challenges with being married to another talented winemaker, Brian Rudin. How does your winemaking style differ from Brian’s? Do you both ever combine your winemaking talents? AT: Brian is indeed, a whole lot of talent. I'll tell him you said so. Our busy season is the same, our slow season is the same. It means that we use a lot of babysitters (fall, spring) and then travel together a lot (winter, summer). Our kids learned early on to roll with the punches, the many, many punches. It's chaotic in our house. Where we run into direct competition isn't the wine- you try to make the best wines you can for your own palate and it's that simple. Hopefully people feel the same and buy those wines. We land in competition with each other with the kind of stuff you wouldn't think about- occasional vineyard sourcing, right now we're trying to hire staff for a similar position and we were looking at some of the same people. In those circumstances, chronology and pricing play a role and you leave it on the playing field because our marriage is more important and because it's an amusing predicament and even we can recognize that. Our styles are different. I'm going to keep this answer short. The more you write about someone else's artwork, the more likely you are to say something you think is a compliment that someone absorbs differently. Every artist aims for something in their head and whenever you try to put that into words, you’ve failed by the mere act of translation. He likes having something plush to reign in and balance while I like starting with a more reigned in wine and doing the opposite, releasing its extremities. I like geeking out on rosé while he likes geeking out on Riesling. We're different. I'm better. Just kidding! No, he's phenomenal at what he does. We touch base all of the time on what the other thinks about a wine, a place, a cooper, you name it. We're better not working together. We learned that when we were dating. That didn't take long to learn... I know how to run my show and he knows how to run his = two chefs in the kitchen. Having said that, Brian has helped make Vital happen in a lot of ways, and for that I'm so thankful. If you look closely on our donor's page on Vital, I give him a shout out as I think the "Rudin Global Trucking Co." but he's done much more than just haul fruit. He's helped secure some of our best donated fruit, barrels, you name it. WWB: You are a fellow Whitman College alumnus (I am quite a bit older than you, lets just say that!) who majored in Anthropology while at Whitman and has since been involved in the wine industry for the past fifteen plus years. How did you decide to start Vital Wines. Can you talk about this special nonprofit winery? AT: Vital had been stuck in my head for about a decade before I had the nerve (Rolodex) to pul it off. Vital is a non-profit winery whose mission is to improve the healthcare for vineyard and winery workers in the Walla Walla Valley. All profits go to the SOS Clinic (www.soshealthservices.org). We get practically everything donated- grapes, labels, corks, capsules, screwcaps, shipping supplies, some bottles, lab work, graphic design, tasting room staff, winemaking, barrels, a lot of harvest supplies, it's pretty amazing. The whole valley is in on it. WWB: You have already produced a killer 2018 Rose for Vital Wines (WWB, 90). What was your winemaking approach to this beautifully textured and layered Rose that is priced at a mere $18 and will be featured on my upcoming Pacific Northwest Rose Report? AT: Hah. Rosé is my full geek fest these days. Because rosé is usually at a low price point, people think it is easy to make. It's one of the hardest wines to make well. It has to be heat stable or it'll go cloudy. It has to be cold stable or it'll throw potassium bitartrate crystals. It has to have acid or it'll be a flabby rose, which is super depressing to drink. With red wine, you have a lot more wiggle room to do any of those. Red wine is opaque, so it doesn't matter if it is cloudy. If you see crystals in red wine, you assume it is a really high end, unfined, unfiltered wine. You don't come to that conclusion with a rosé. Rose is like a short story- every piece counts more because there are fewer moving parts and you have less time in the cellar before bottling. You have no oak to play with, no tannins, no extended macerations, and the color has to be perfect because everyone has a magnifying glass on that color. When you water a troubled plant, it doesn't perk back up the minute you water it. When you make movements with any wine, you need another bit of time before those efforts come to fruition. With rosé, you have to stay really on top of it because you don't have that time. Rose gets bottled much earlier than reds or whites. You have to nail every movement and if you don't, its obvious. That's my rant. We make our rosé for rosé, which is to say we don't saignee. We pick for rose, really early so it has lots of acid. We go straight to press and make sure to use varieties that will give us enough color without maceration, and we aim for a salmon hue. Malbec makes everything blue which translates as Kmart pink in rose. We use neutral oak to help get us heat stability so we don't have to fine it with anything. With rosé, the key is always an ounce of prevention. And then we cold stabilize it by getting it really cold and letting gravity do our work for us. It's harder than it sounds. And really fun. WWB: What are some of your favorite Washington wines and producers? What are some of your favorite wines of the world? AT: Canvasback. I'm not going to pick other Washington producers because inevitably I'll tick someone off by not putting them on the list. As for favorite wines of the world, I love both CA (Merry Edwards) and OR (Cristom) Pinot Noir, I adore Sancerre (all, and I mean, all) and both cheap and expensive bubbles. Pulenta Estates and Bodega Bressia make my favorite boutique Argentine Malbecs. I'm a sucker for Cornas. It's a beautiful world out there. One of the top producers on the Sonoma Coast, Cobb Wines was founded by David Cobb in 2001. Their story has a long history beginning in 1989 when David Cobb began cultivating Pinot Noir vines at his small Coastlands Vineyard, perched literally right overlooking the Sonoma coast. This was a revolutionary site for planting Pinot Noir but David had a background working as marine ecologist and spent much of his time learning about soils and climatological charts in trying to find a great place to grow Pinot Noir. He reasoned that the Sonoma Coast provided a good amount of heat, morning fog to keep temperatures moderate, and plenty of wind to protect the grapes from rot. 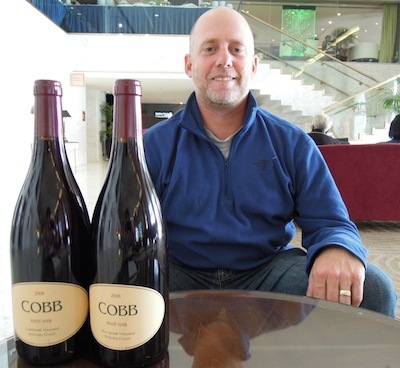 Cobb Wines combines the wine-growing expertise of David Cobb—one of the first big players in Pinot Noir viticulture on the far Sonoma Coast—with the winemaking talents of his son, Ross Cobb. Ross has a long resume, including previous stints at famed producers Ferrari-Carano, and Williams Selyem, where he served as viticulturist and enologist. In 2001, a mere 130 cases of Cobb Wines were made. Now their production has increased considerably. The new Cobb Wines Pinot Noir show amazing terroir and structure. The salinity in the wines is just magical. Look to the 2016 Cobb Wines ‘Rice-Spivak Vineyard’ Pinot Noir (WWB, 95) which has insanely good range and minerality. Nearly as good was the 2016 Cobb Wines ‘Jack Hill’ Pinot Noir (WWB, 94) which has amazing texture and elegance as well as bright citrus tones. Learn more about Cobb wines at http://cobbwines.com Here are the impressive new releases from Cobb. Great photo here of Dr. Ernst Loosen at Chateau Ste. Michelle as he lectures on his beautiful wines. It is a rare opportunity to meet one of the world’s great winemakers, but a few weeks back at Chateau Ste. Michelle I had that chance. One of the famed Mosel estates, the Dr. Loosen estate has been in the same family for more than 200 years. 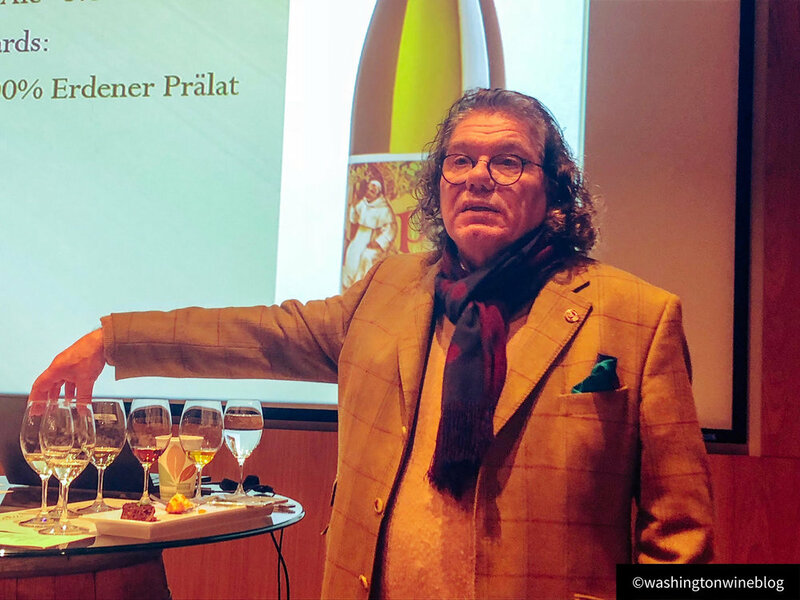 Dr. Ernst Loosen assumed ownership in 1988, he realized that, with ungrafted vines averaging 60 years old in some of Germany’s top-rated vineyards, he had the raw materials to create stunningly intense, world-class Rieslings. He was the only one of his siblings interested in taking over the winery and Ernst focused on becoming one of the regions top winemakers, as he completed his studies at Germany’s renowned winemaking school in Geisenheim and then completed a self directed review of the great wines of the world including Austria, to Burgundy and Alsace, even to California. He wanted to visit these great winemaking regions and learn from other top winemakers. Dr. Loosen has gained an International reputation for killer value Rieslings that shows that special blue slated terroir and bright minerality of the reigon. He has also been collaborating with Chateau Ste. Michelle for more than a decade and helps produce what is year after year one of Washington’s top Rieslings, the Chateau Ste. Michelle ‘Eroica’ Riesling. Great photo here of Le Cadeau proprietors, Deb and Tom Mortimer. One of the exciting vineyard projects in Oregon, the story of Le Cadeau dates back more than two decades ago. Ironically, I was introduced to Le Cadeau wines more than a decade ago while on a trip to Minnesota. I remember initially tasting the Burgundian style of wine in the glass as well as the stony terroir. Over time these wines have impressed even in the most challenging of vintages like 2007 and 2011. Located near Newberg in the Dundee Hills, the Le Cadeau Vineyard is set on a 28-acre parcel on the south slope of Parrett Mountain. Proprietor Tom Mortimer saw the potential for this plot of land which was previously overgrown with poison oak, wild berries, and scrub oak before being removed. This 14-acre, high-elevation (610’ – 725’), vineyard is set on volcanic soils and have a strong stony influence in the wines. There are a host of Pinot Noir clones planted in the vineyard, including Dijon, Heritage (Heirloom), Pommard, and Mariafeld. Le Cadeau relies on consulting winemakers Jim Sanders, Pierre Millemann and Steve Ryan. I can’t think of another Oregon winery that has three consulting winemakers but they each provide a unique take on their Pinot Noirs from this stony terroir. I really enjoyed their 2017 Le Cadeau Vineyard ‘Cote Est’ Pinot Noir (WWB, 92) which has really good range and is hugely complex. The 2014 Le Cadeau 'Trajet Reserve' Pinot Noir (WWB, 94) is a simply sensational new release that impresses with its rich texture and gorgeous mouthfeel. This one is made for the cellar. Learn more about these awesome wines at http://www.lecadeauvineyard.com/ Here are the awesome new release wines from Le Cadeau. Great vineyard photo here of Seth Kitzke, winemaker at his winery, Upsidedown Wine. One of the exciting young talents in Washington Wine, Seth Kitzke is the co-founder of Upsidedown Wine with his wife, Audrey. Seth has a strong agriculture background and is a graduate of the Northwest Wine Academy program at South Seattle College. Before starting his own winery he worked for K Vintners under Brennon Leighton. Seth is a delight to talk wine with and he produces some really good wines for his own label. I think you will very much enjoy hearing his story in wine. Here is my interview with Seth Kitzke, winemaker and co-owner of Upsidedown Wine. WWB: What was it like growing up in a winery household with your parents founding Kitzke Cellars? Is it fair to say that wine has always been in your blood? SK: So this is kind of funny and not going to be at all what you expected. I remember the first time I saw beer in a fridge at our shop on our 150 acre orchard. It was during a cherry harvest and was probably 100 degrees out. I thought to myself oh my Lord my parents are sinning! Side note: I was raised in a conservative faith filled family where alcohol was never seen. That was the first time I saw Bud Light (Dilly Dilly) and I think there was some Franzia in there as well. Probably white Zin! Anyways I’ll get back to the question of wine while growing up. It was really non- existent. Everything was looked at as fruit. I grew up bagging apples and cherries, then when I was 11-12 years old was when we started planting our small vineyards and when I started working in the vineyards every summer. We had some wine grapes that were planted back in the 80’s below the orchard that were overgrown and not cared for but my dad always wanted to plant grapes ever since he managed Rio Vista Orchard on the Columbia River and drove by Bacchus Vineyard on the way to work each day. He will tell you the thought of making wine was never in the picture and they planned to just sell the grapes until some people tried the Cabernet Franc and convinced them they needed their own label. WWB: Can you talk about the education you received while attending the South Seattle College program? Who were some of your initial inspirations in wine? SK: The Northwest Wine Academy was great! The people and friends I made there during my time will be around for life. Regina Daigneault was a great help when it came to sucking me into the program and guiding the initial teaching of my pallet. Peter Bos and Linn Scott were both great instructors when I was there. They taught me some very important things when it came to production and wine science. That being said winemaking is a balance of the artist side and science. I would say I am pretty heavy on the artist side. As for initial inspiration there was a lot of people with in the Washington Industry that really inspired me. Way too many to list them all but Robert Takahashi, Mark Fiore, Damon Lelande to name a few and some more recent ones like Ryan Johnson and Andrew Schultz that continue to spark the fire in Washington. When you talk with them you can feel their passion and that’s one thing I always hope to have and that people will find with me. Washington is young and I want to create some of the top wines in the world from this state one day. I think a lot of those vineyards are not even planted yet! WWB: You decided to work at K Vintners before starting Upsidedown Wine? How did that and other winery experiences influence your winemaking style? SK: I think more than anything working at wineries will show you what you don’t want to do and spark ideas of what you would do different. Working at K Vintners was a serious eye opener for me. I wanted to work there strictly because the wines scored well and the equipment they had. It showed me the obsessive side to winemaking that I hadn’t experienced. It was probably the best thing that ever could have happened to me and the worst at the same time. Only because it showed me the amount of money I will likely never have to make wine! Haha. It taught me that science isn’t always the best route in winemaking and opened my eyes to some possibilities. I remember Brennon saying in the beginning alright now you just have to forget everything you learned in school. I would say the single thing that really influences my winemaking style though is wine! I know that sounds boring or cliché but nothing will inspire you more than drinking wine. Washington I believe has endless possibilities, most of which haven’t even been tapped yet. This state has so much diversity and possibly, but with that being said we are young and have been set in a path of “this is how you make wine.” Instead of looking at a certain area or terroir and then finding the style in which it wants to be expressed. So ultimately, I look to regions of the world that have been doing it for generations for inspiration. Drinking their wines and learning as much as I can about their winemaking style and terroir along the way. Then I take what I enjoy and apply it to my wines. WWB: You make some downright killer Rose and fantastic Rhone style wines for Upsidedown Wine. What is your process for making your Rose and what is your process for working with Rhone varietals (Syrah, Grenache and Mourvedre)? When I set out to make a rose I took what I liked about Provence style roses and applied it to a varietal that I thought would do well in Washington, Nebbiolo. After tasting Sangiovese rose from the state and already seeing how Nebbiolo developed in the vineyard I thought we should try it. Nebbiolo holds acid really well and is known for amazing aromatics, two things you want in rose. So from there I just work on growing for it in a different training system that is tall and higher in density so it really protects the grapes from the sun because it also sunburns really easy. We pick at the right time and press wholecluster to minimize the skin contact and amount of oxygen getting to the juice. Nebbiolo has thin skins that pack a lot of tannin and can overwhelm a rose really quick. Then we do some lees contact to build mouth feel and help stabilize the wine naturally without using additives that strip flavor. For the Rhône wines it changes depending on the vintage. This is one of my favorite parts about being a vigneron because you really are in the vineyard day to day making the wine in tune to what the vintage and land is giving you. Some vintages we will strip more leaves to expose the fruit and some vintages we will leave more to preserve some of the peppery earthy aromas and keep the alcohol down. When it comes to fermentation we are fermenting everything with native yeasts and including a decent amount of whole clusters anywhere from 100% to 30% depending on the vintage and varietal. With some varietals we use good old feet to do all the work and no machines at all, so it all kind of depends on the vintage and wine. Fermentation lengths vary depending on the wine and tannin composition. We age on the lees without racking our wines and use extremely minimal amounts of so2 in the cellar before bottling unfined/unfiltered (if possible). This is a perfect example of what they teach you not to do in school but is a common practice with some of the top wineries of the world. WWB: You have a strong social media influence with @usdoingwine on Instagram and your Upsidedown Wine pages on both Facebook and Instagram. How much of a challenge is it to balance the social media and winemaking aspects? What is it like working side by side with your wife, Audrey Kitzke? SK: The response to @USdoingwine has been crazy. Something we definitely weren’t expecting but it is really cool. We lived in Seattle for 7 years after getting married and when we moved back to the vineyards some of our friends suggested we start a video blog about wine on youtube. We kind of wrote it off, because that would have been far too much work. We actually were planning on both giving up social media for a month at New Years last year (2018). But then, one thing lead to another after a dinner with wine, a lot of wine, and @UsDoingWine was born. We spend a lot of time on social media, and people can say what they want about it, but overall it’s been very positive for us and our business. Sure, at times it’s hard to get all your work done, and try to document it at the same time (especially winemaking), but we make it work. We’ve been able to really connect with our audience in a very real, genuine way that I don’t think we’d be able to do otherwise without the IG handle. When people hear I make wine they think I sit around and taste wine all day. While that might be the case for some winemakers… it’s definitely not what I want to do. For now @UsDoingWine, makes the 12+ hour days at harvest more enjoyable because people ask questions and are involved. Consumers want to know what all goes into their product and want to educate themselves on wines they are drinking. In a way I feel responsible to educate people on wine and open their eyes to what goes into each bottle that they sit down and crush on the couch or around the dinner table. Instagram is such a cool platform to share that and connect with other producers from Washington to France. I often find myself talking with people about their production wherever that are located. As for working with my wife Audrey, it is the best! She is everything that I am not. She helps balance me and does so much behind the scenes its crazy. She also reassures me in times that I struggle and encourages me to chase the dream! I definitely got the better end of the deal. WWB: When you are not enjoying your Upsidedown Wine portfolio what are some of your favorite Washington wines that you enjoy? What are some of your favorite wines of the world? Great photo here of Domaine Drouhin Oregon winemaker Veronique Boss-Drouhin and her brother, viticulturist Philippe Drouhin. As snow continues to descend upon this manic Monday in Seattle, we bring you one of the best out of Oregon and the Dundee Hills. Founded back in in the 1980s, the Domaine Drouhin Oregon was masterminded by famed Burgundy producer, Domaine Drouhin, headed by Robert Drouhin, who decided to purchase land in the Dundee Hills. What was previously only Christmas trees and wheat, the Drouhin family began planting their first vineyards in Oregon. Robert chose his daughter, Véronique, to serve as DDO winemaker, and her brother Philippe Drouhin took responsibility for viticulture. In 1988, DDO produced its first vintage, from purchased grapes, and in 1989 built the landmark, four-story gravity flow winery. I visited the winery several times last year and am always blown away with the sweeping views of the valley. Domaine Drouhin Oregon has been one of my favorite stops since I first visited the Willamette Valley in 2002. My uncle, Dr. Brian Lueth, first introduced me to this estate, with some epic ‘Laurene’ bottling from the 1990s and early 2000s. Needless to say, quality has remained very high at this famed Oregon estate. The new release Pinot Noir wines were exceedingly good, none more so than their 2015 Domaine Drouhin Oregon ‘Laurene’ Pinot Noir (WWB, 94) which needs more than an hour decant but shows incredible poise and richness from this warm vintage in the Willamette Valley. This is truly one for the cellar. bI was also hugely impressed with their new entry level release, their 2016 Domaine Drouhin ‘Dundee Hills’ Pinot Noir (WWB, 92) which would stand out against many other ‘Reserve’ bottlings in Oregon. Learned more about this iconic Oregon winery at http://www.domainedrouhin.com/ Here are the awesome new releases from Domaine Drouhin Oregon. Thibaut Delmotte is the talented winemaker behind all Bodega Colome wines. Happy Friday to you all. Today we cover one of the famed properties out of Argentina, Bodega Colome have gained a worldwide reputation for producing very high quality Malbec and Torrontes that overdeliver for the price. Bodega Colome is located in the Calchaqui Valley, 2300 meters (7500 feet) above sea level, in the northwest region of Argentina. Founded in 1831, it is one of the oldest existing wineries in Argentina. In 2001, it was acquired by the Hess Family Estates. The wines are grown in the highest vineyards in the world (7218-10,207 feet above sea level). The high elevation contributes to the tension in the wines as they produce a wine made from the world’s highest altitude vineyard, their ‘Altura Maxima’ Vineyards, planted at an astounding 10,200 feet! Thibaut Delmotte presides over the winemaking at Colome and has crafted some gorgeous new wines. One of the outstanding Torrontes wines available in the retail market, the 2018 Bodega Colome Torrontes (WWB, 93) has wonderful poise and salinity with a silky motuhfeel. This is an incredible wine made by the talented Thibaut Delmotte. Their 2016 Bodega Colome ‘Estate’ Malbec (WWB, 92) which shows wonderful Malbec character with chocolate and dark fruit tones. This is a killer value for the price. Learn more about these outstanding wines at http://www.bodegacolome.com/homepage/ Here are the great wines by Bodega Colome.